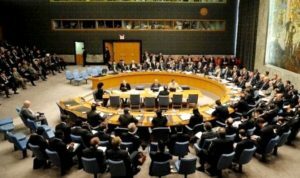 Horst Köhler, the UN Secretary-General’s Personal Envoy for Western Sahara, briefed members of the Security Council Wednesday on his mission, in a context marked by the general belief that no solution is possible without the involvement of Algeria, which is at the origin of this conflict and which is the sponsor of the separatist Polisario front. Speaking to reporters at the end of this briefing, which comes before a new meeting of the Security Council in October, the British Ambassador Jonathan Allen, whose country chairs the Council for the month of August, did not give much details on the exchanges between Köhler and the Council members. Yet, the British diplomat said that Horst Köhler got a lot of support from the council for his approach and for his “proposal to try and see if he can bring the parties together by the end of the year”. The Council members “have all underlined the importance of consultations with all parties concerned,” Allen said, adding that the former German president “has grasped the message as to the need to hold preliminary and strengthened consultations with all the parties”. This insistence refers to the Moroccan requirement that the Kingdom be consulted prior to any step and that Algeria be part of the consultations, in accordance with Security Council Resolution 2414. Resolution 2414, adopted on April 27, 2018, calls on neighboring countries, in this case Algeria, to make an important contribution to the political process and to show a stronger commitment to progress towards the political solution. In the same resolution, the Security Council members unanimously supported a “realistic, pragmatic and compromise-based” political solution. And many of these countries strongly support the Moroccan Autonomy proposal as a serious, credible and sustainable solution to the conflict over the Sahara.